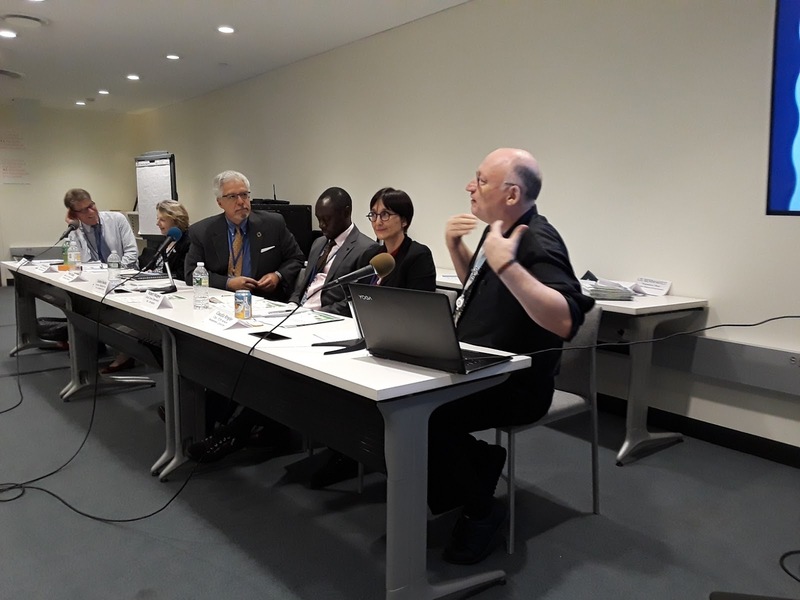 Addressing Resilience through the Nexus of Water-Food-Energy; Cities as SDG Laboratories was organized by the Stakeholder Forum for a Sustainable Future and the International Science Council and the UNC Water Institute. The power point that supports this can be found here. Cities are to be seen not in isolation, but intrinsically connected with broader ecosystem as part of a metabolism of flows and interconnected social and ecological processes. A substantial proportion of the water, energy and food that supports urban living is supplied from rural areas outside the cities. The largely one-way flow of these resources together with the pollution and waste generated in urban spaces have a determining effect on patterns of rural development and the integrity of the ecosystems services. The Nexus approach has already shown itself to have a crucial part to play in ensuring that the supply of water, energy and food services to cities is managed in ways that optimize and balance the needs of both urban and rural communities in a just, equitable and sustainable way. In addition, if planetary boundaries are not to be exceeded, then 100% of GDP growth in future will have to come from productivity growth, most of which will take place in the urban setting. The future urban nexus or must be about reintegrating systems, services, silos and social behaviors. The Nexus community is growing in numbers, in depth of analysis and in influence. 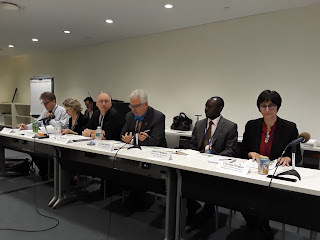 While the focus of the existing Nexus is on Water, Energy, Food, and Climate, the time has come to consider applying the approach more widely as it can help to enhance the understanding of connections among other issue such as health, gender, human mobility, population growth and other matters pertaining to the 2030 Agenda. mobilizing the public in active support of the sustainability transformation is critical. Innovative forms of financing are needed to bridge the gap between short-term and long-term investment, macro and micro economics, and global and local financing. Mandatory sustainability reporting in Stock Exchanges and expanding the base of analysis used by credit rating agencies to include in their rating system the SDGs are opportunities to effect change at a systemic level. We need to encourage further investment and financing of Nexus related research and tools aimed at delivering the SDGs. There is a growing body of research and modelling efforts lead by the public, private and academic sector among others, that explore the Nexus between the different development challenges. Such research can provide important insights and pathways to implement innovative solutions, and be a powerful policy tools for governments at all levels. A critical challenge is to agree common language among researchers to better articulate their findings to both policymakers, the private sector and other stakeholders. 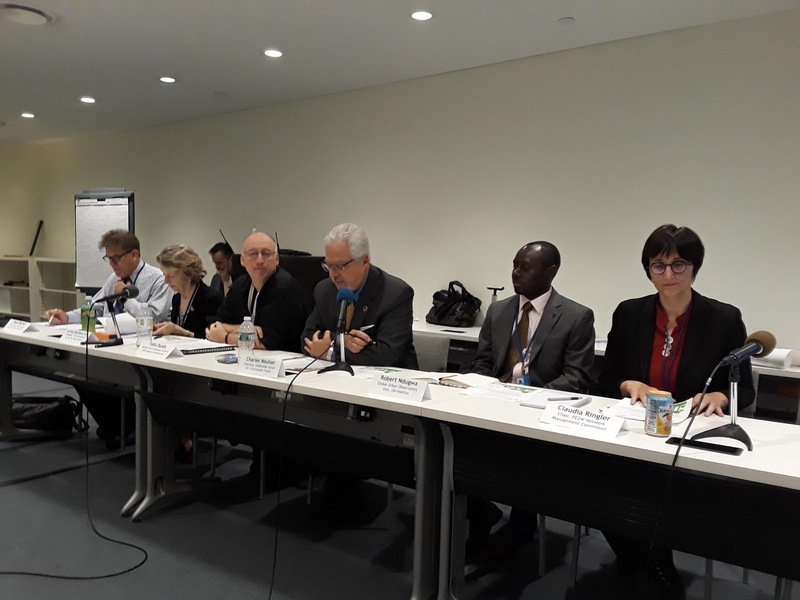 It is essential that practical and traditional knowledge is considered as valuable to understand the Nexus interlinkages and provide insight for delivering the SDGs. Building the capacity of people, institutions, organizations in both the public, private and other sectors is essential to delivering the SGDs. Capacity building can help increase social and human capital and create the necessary energy to encourage the new generation of practitioners to engage with the issue presented in Agenda 2030 in an integrated way.